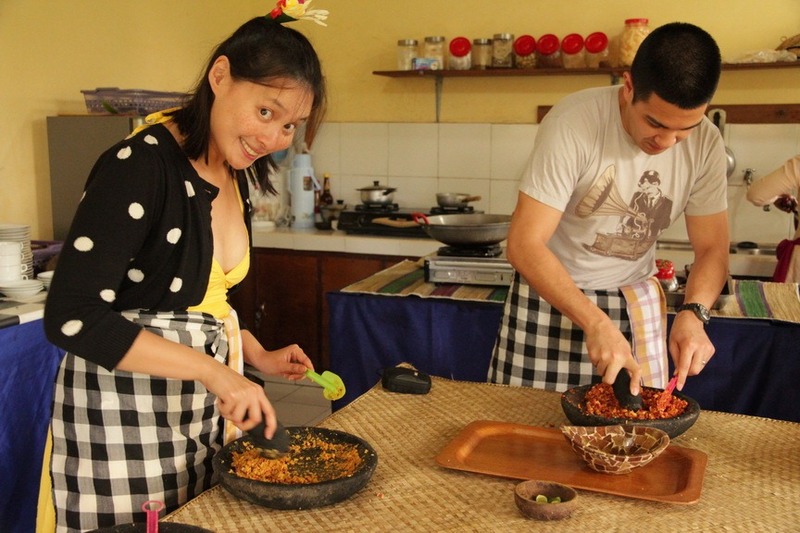 For our last day in Ubud, we decided to take a cooking class. 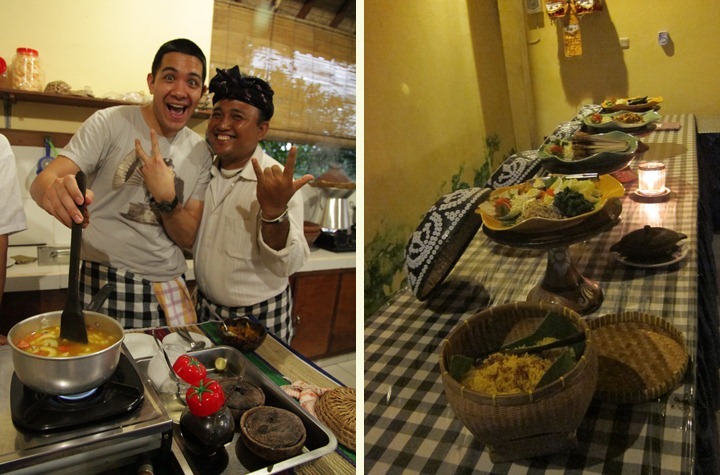 We signed up for Payuk Bali Cooking Class, which is probably the best cooking class I’ve ever taken. 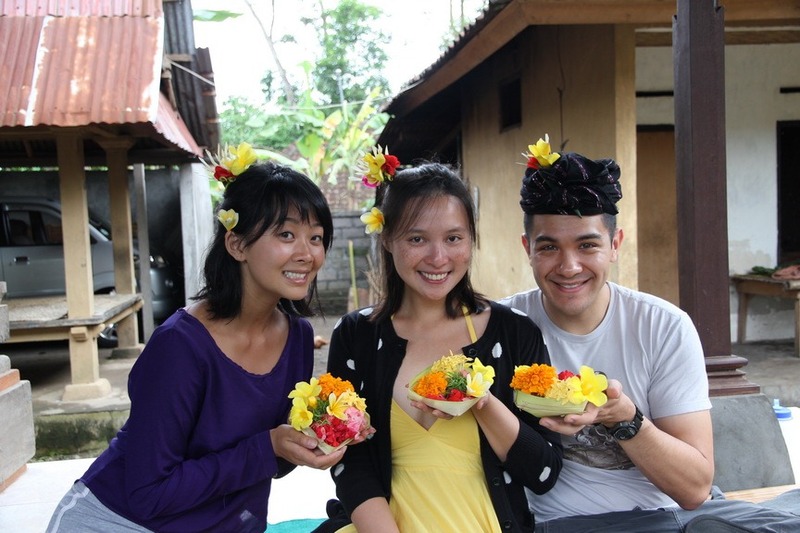 First, they drove us to a rice field and explained to us when and how rice is harvested. 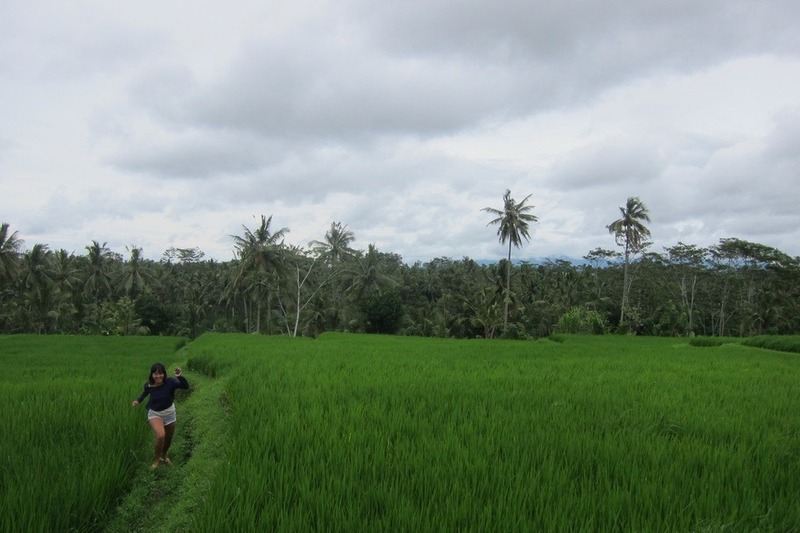 My cousin asked if she could walk in the rice fields for the photo op. Our guide promptly told us that she could but that there may be water snakes in the fields. 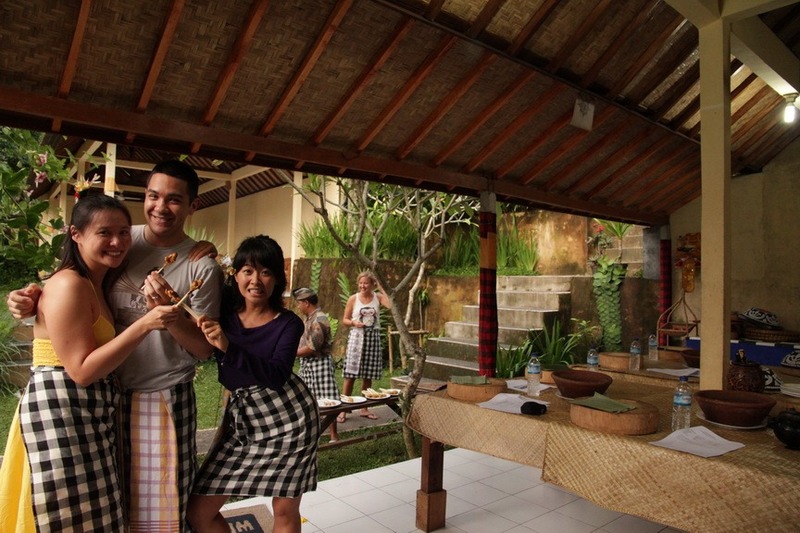 Of course, she walked in the rice fields and immediately came upon a water snake. Below is the action shot of her running from it. I love hanging out with my little cousin; she’s always good for a laugh. 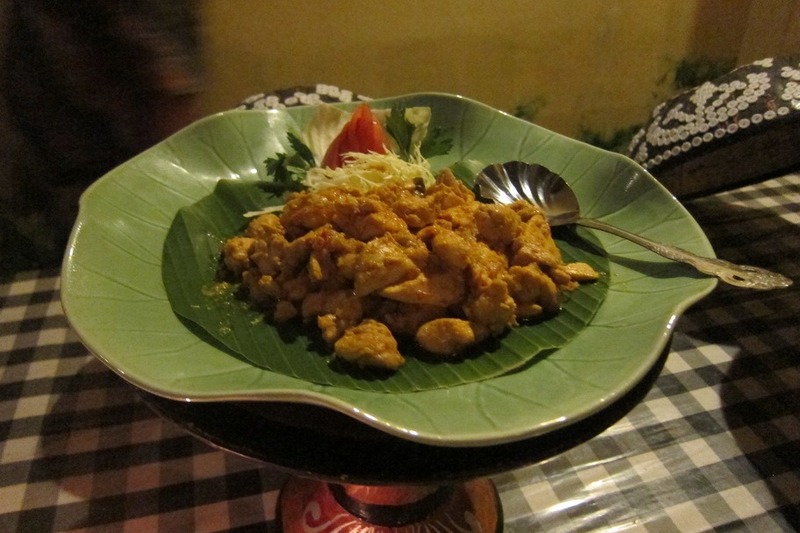 Then, our guide took us to a Balinese compound where the chef’s family lives. 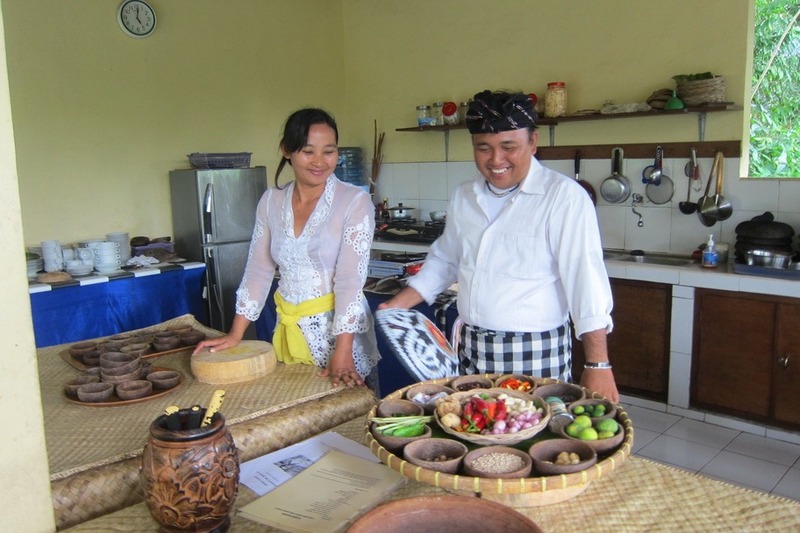 It was wonderful to see Balinese living quarters and learn how to cook in a traditional kitchen. 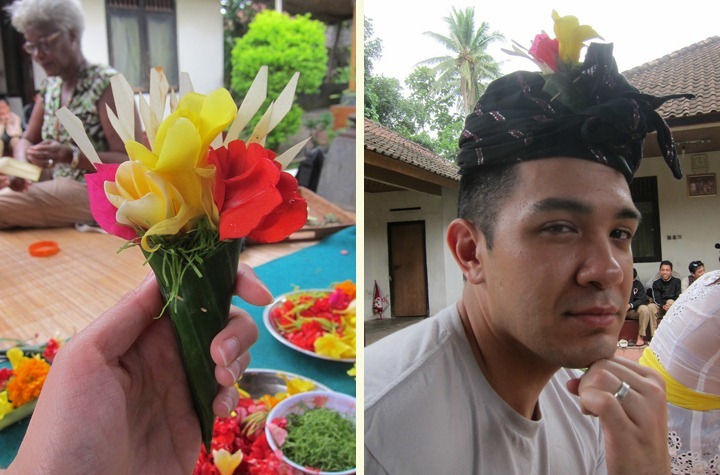 The first thing that they taught us was how to create the daily offerings that each Balinese family make. 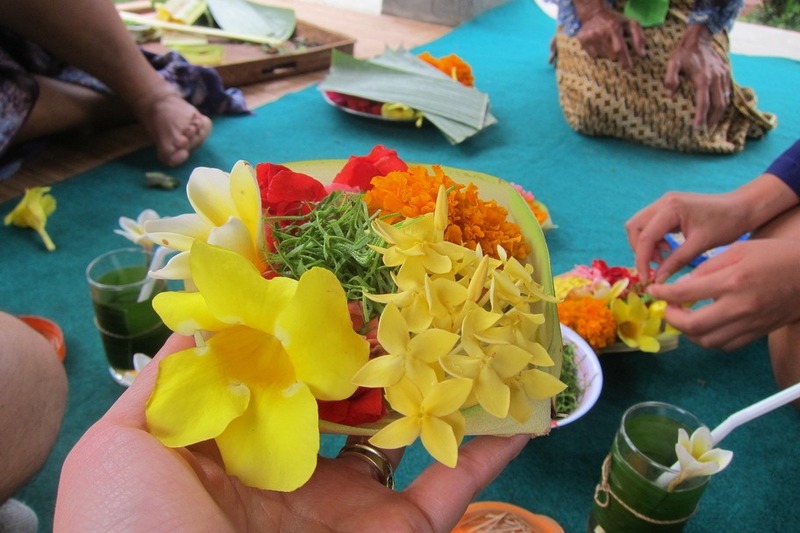 The daily offerings are made with beautiful colorful flowers. 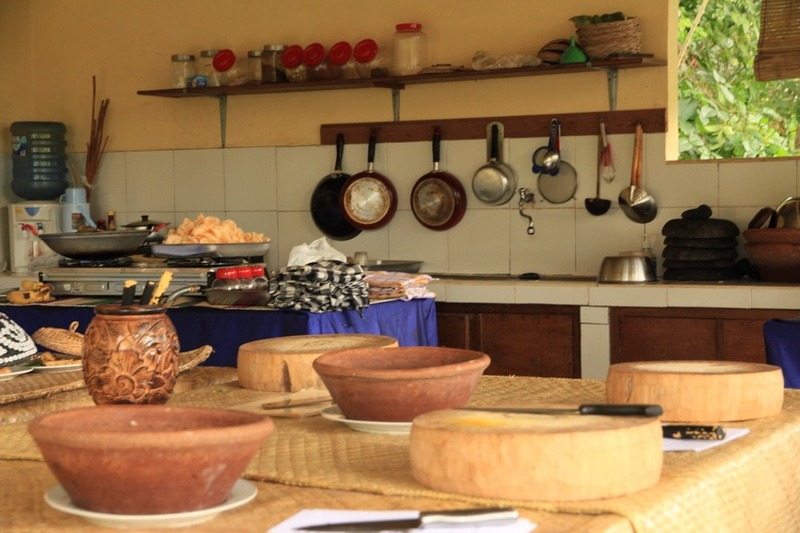 I loved this part of the class but Mr. Selfish (whose fingers are not so nimble) wanted to get down to the cooking. 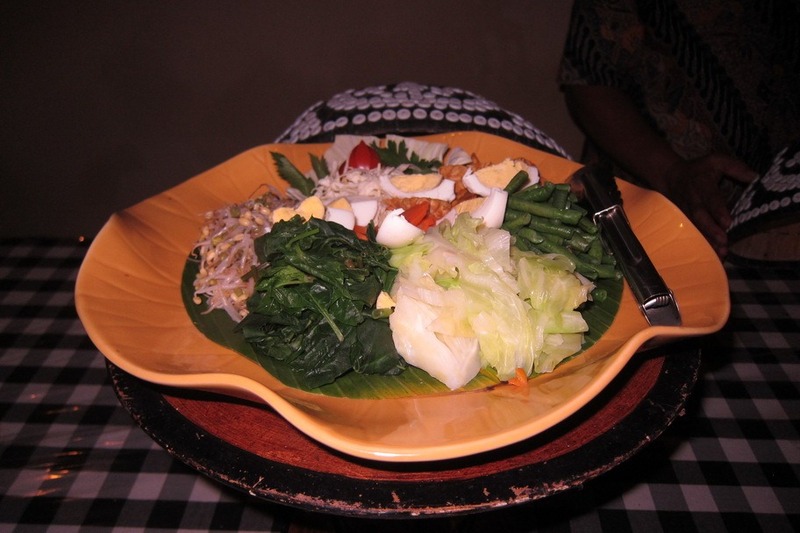 Shortly thereafter, we made our way to the kitchen, and the chef, Ketut, showed us the ingredients with which we would be working. 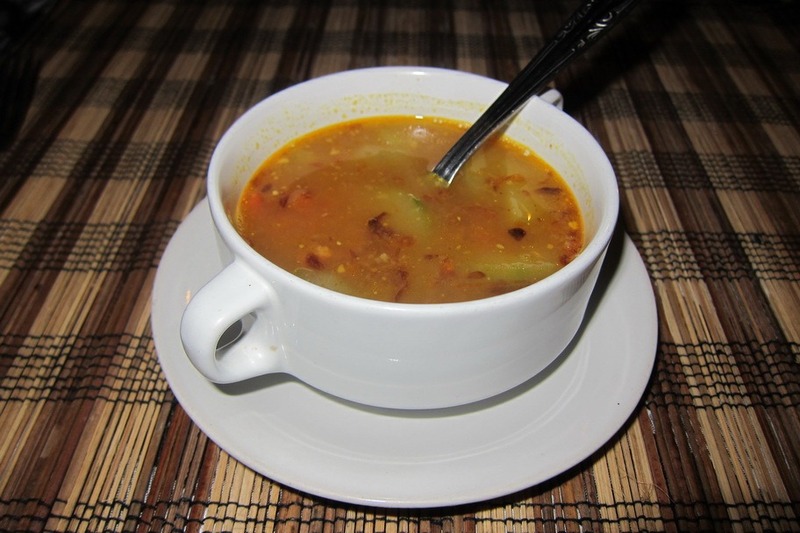 Everything was very fresh and aromatic. I didn’t realize that there were three different types of ginger. 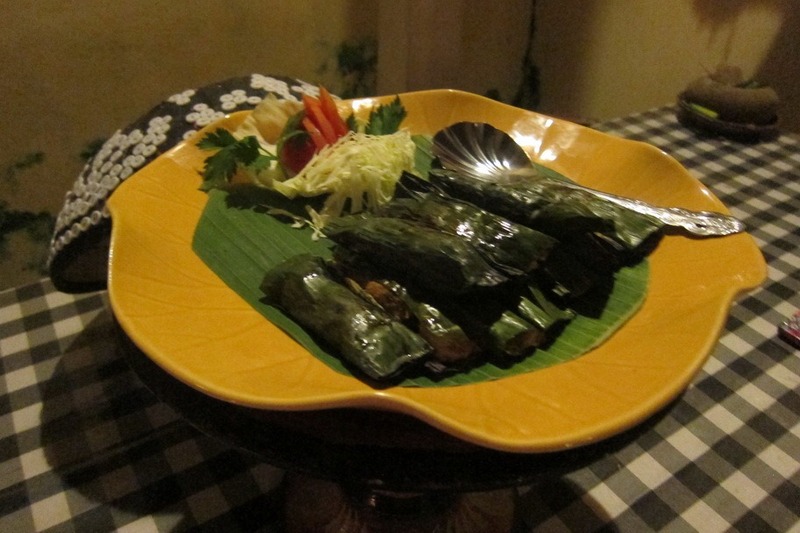 We quickly started chopping up all of the ingredients, which we eventually grinded into different pastes. 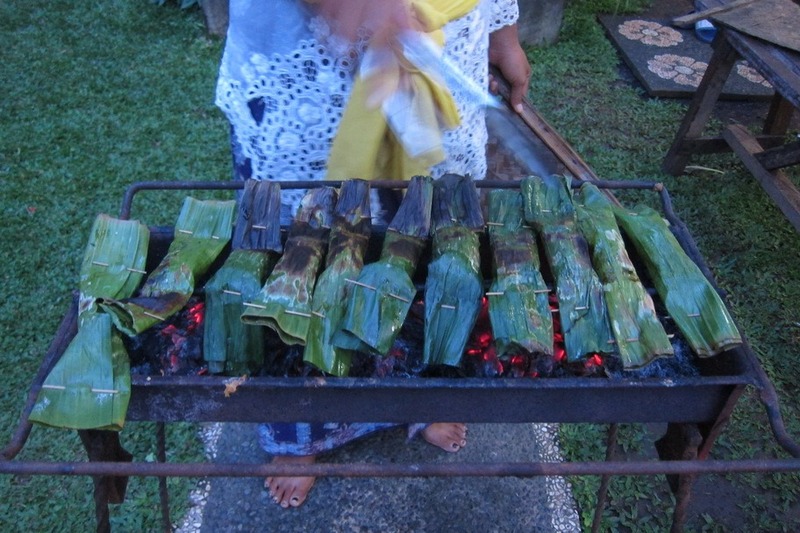 We made traditional yellow rice that had to be steamed in bamboo multiple times. 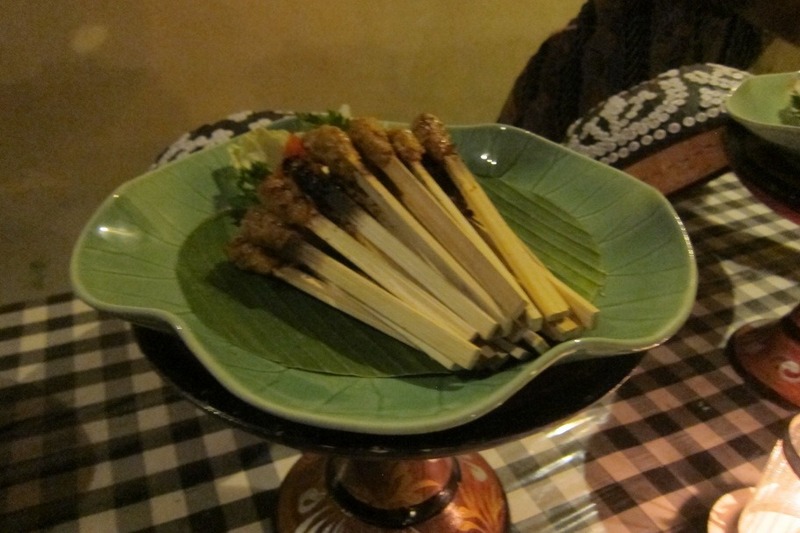 We also made fish satay, Balinese fried chicken, gado gado (steamed veggies in a peanut sauce), and fish cooked in bamboo. After a couple of hours of cooking, we had a magnificent feast to eat. Of course, we made way too much food, but at least all of it was delicious.